This is a wonder soap recipe from Spicy Pinecone that you will make again and again, and want to keep in stock. 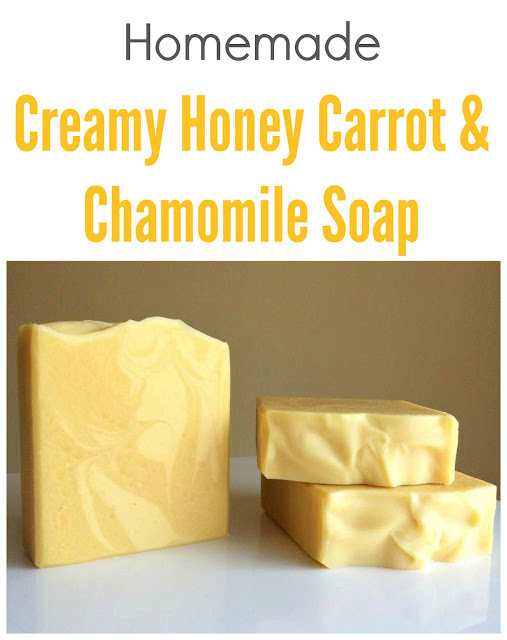 Its scent is amazing and the creamy texture you will love. It makes the perfect gift when wrapped nicely in Cellophane with a ribbon added. You will need: Olive Oil, Coconut Oil, Shea Butter, Castor Oil, Palm Kernel Flakes, Sodium Hydroxide, Water, Carrot Puree, Aloe Juice, Heavy Cream, Organic Honey and Chamomile Extract.